The park's charitable foundation plans to explore the possibility of uncovering a buried gun battery. 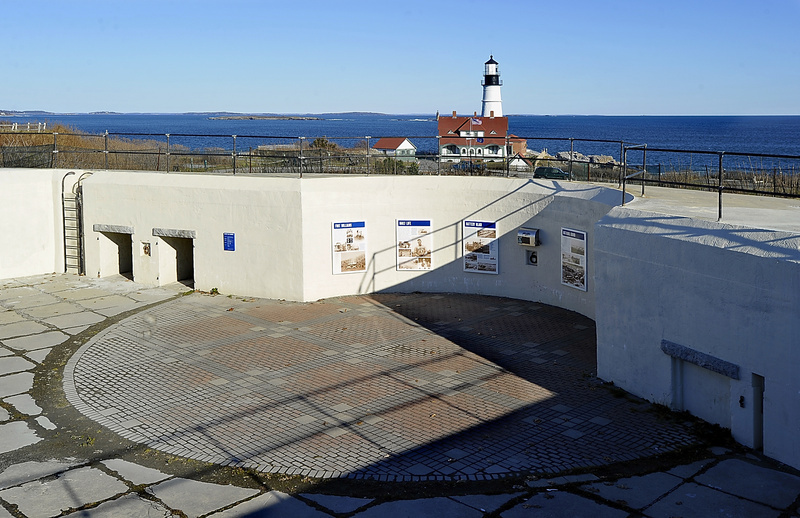 CAPE ELIZABETH – Large interpretive signs help explain Battery Blair to visitors at the town’s Fort Williams Park. Joe Edgar says much more interesting things are under those visitors’ feet. Edgar is a director of the Fort Williams Charitable Foundation, which has raised more than $36,000 for an engineering study to determine whether a buried section of the gun battery — which includes the ammunition magazines, plotting rooms, and space for tool storage, generators and latrines — can stand the stress of being uncovered. 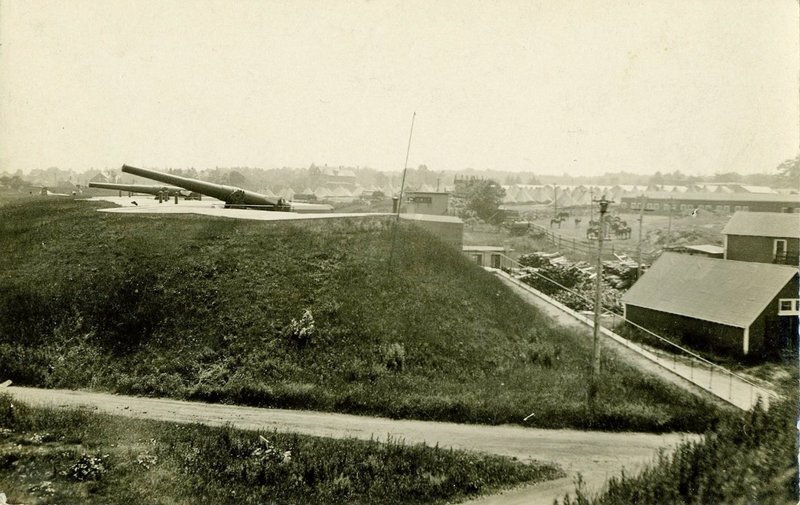 That lower section of the battery and an adjacent gun emplacement were covered nearly 40 years ago when the town used fill taken from a sewer project to create some of the small rises and large fields that now draw thousands to the 90-acre park. Many of the hills closest to the coast were, in fact, created or enhanced when the concrete gun batteries were covered. Battery Blair was covered over for aesthetic and safety reasons, Edgar said. Children liked climbing over and through the structure, and the town was worried about injuries and liability. But, Edgar said, the popularity of the park as a recreational area, with its beach, a soccer field, a hill favored by kite-fliers and a dramatic waterfront cliff walk, is overshadowing its heritage as a military installation. “The park is here because of the military,” he said, and without the fort — and the town’s decision to buy it in 1964 after its decommissioning — the area would surely be dotted today with expensive waterfront homes. Edgar and Steve Bates, the president of the foundation, said the engineering study will help determine whether it’s feasible to uncover the lower part of the battery. They said engineers will take core samples to determine the condition of the concrete; informal inspections have suggested that it’s still in good shape. Bates said the burial may have helped preserve that section of the battery, by sheltering it from the coastal weather. Edgar said the study also will look at what might be needed to make the lower section of the battery an attraction for visitors, many of whom go to the park to see Portland Head Light, just a short walk from the battery. He said the rooms below the guns were important to their operation. The 12-inch guns could fire projectiles that weighed nearly 1,000 pounds as far as 10 miles out to sea. 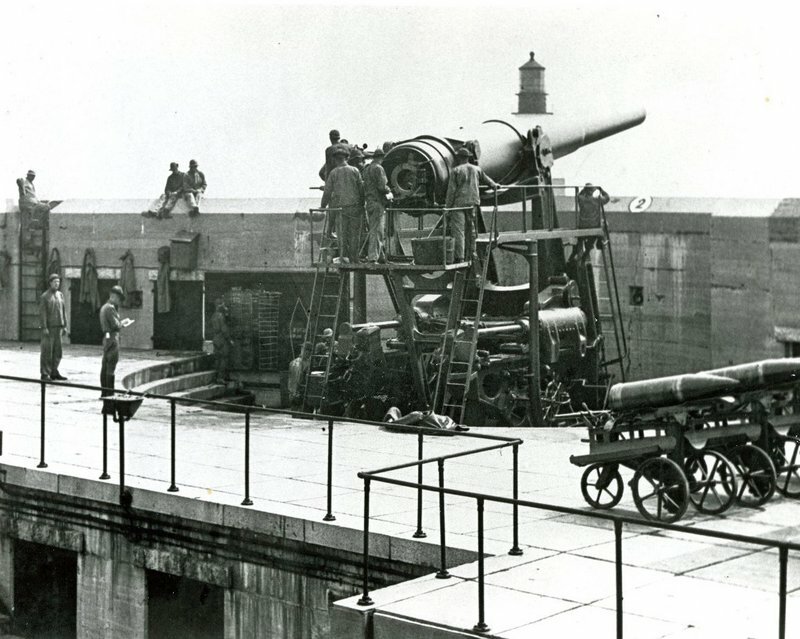 Although the fort was a key part of the defense of Portland Harbor, its guns were never fired in battle. The two guns at Battery Blair were test-fired on Dec. 8, 1941 — the day after Pearl Harbor was attacked — and the shock wave blew out the walls of some garages that had been built nearby, according to a town history of the fort. The engineering study will include an estimate of the cost of uncovering all of the battery and how much it might cost to restore it and turn it into a historic attraction, Edgar said. Bates said he could offer no informal estimate, but it likely will exceed $1 million. Edgar said there’s no deadline for the report to be completed. He said the borings for core samples might be done before the ground freezes, and research would be done this winter. William Nickerson, chairman of the town-appointed Fort Williams Advisory Commission, said any effort to restore the buried section of Battery Blair will have to be funded privately. He noted that other groups are raising money to try to save the park’s crumbling Goddard Mansion and pay for a series of arboretums and pathways being installed throughout the park. The town recently adopted a fee for tourist buses to help offset maintenance costs at the park. Last year, it sold space to food vendors for the first time. The Town Council and residents have repeatedly rejected efforts to charge for parking or collect other fees from park visitors. Nickerson said that reinforcing the military heritage of Fort Williams is important. If the gun batteries and other installations are lost forever, he said, people will forget what was on the site before the town bought it.